Dennis Ross Whitten, 67, of Angleton passed away Thursday, August 9, 2018. Funeral Services are scheduled for 1 p.m. Wednesday, August 15, 2018 in the Palms Funeral Home Chapel. Visitation will be Wednesday from 12 p.m. ~ 1 p.m. at Palms. Burial will follow. Dennis was born August 14, 1950 in Freeport, Texas to Chester & Dorothy Whitten. He was preceded in death by his parents. Survivors include his Partner; Lupe Ramirez and their beloved dog Teddy, Children; Billy Whitten of Brazoria, Laura McClary & husband Kelly of Lake Jackson, Brother; Carnel Whitten of South Carolina, Nephews; Riley Whitten, Ross Whitten, Niece; Natasha Strickland, Grandchildren; Tiffany McClary, Blayne Whitten, Mason Whitten, and Carter Whitten. 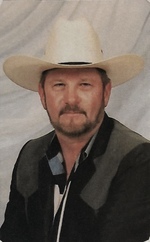 To send flowers to the family of Dennis Ross Whitten, please visit our Heartfelt Sympathies Store.